Launch for spoKe Magazine Hosted by Kevin Gallagher Readers Ruth Lepson Sue Standing Alison Vanose Marc Vincenz The Grolier Poetry Book Shop ("the Grolier") is an independent bookstore on Plympton Street near Harvard Square in Cambridge, Massachusetts, United States. Although founded as a "first edition" bookstore, its focus today is solely poetry. Reading 3 @ XIT THE BEAR: poet Ruth Lepson reading across the expanse of her Work: Dreaming in Color (1980), Morphology (2007), I Went Looking for You (2009), Ask Anyone (2016). Recorded on the afternoon of December 11th 2016 in The Press Room, Somerville, Ma. Introductions by Michael Franco. Enjoy this musical setting of a poem of mine from Ask Anyone. Frank Carlberg on piano, Noah Preminger on sax, Kim Cass on bass, Christina Correa voice, and Michael Sarin on drums. Performed at Cornelia St. Cafe in NY. Gerrit Lansing, the author most recently of Heavenly Tree, Northern Earth (2009), presents a “conspectus” of poems from his early years through to recent work. Introduced by Ruth Lepson, the recording session is followed by a brief oral history conversation focused on an array of subjects, including Gerrit’s friendships with John Latouche, Frank O’Hara, Charles Olson, Stephen Jonas, and John Wieners (among many others), as well as his role as the editor of the 1960's magazine SET. Date: November 10, 2015, at the Woodberry Poetry Room, Harvard University. For additional information, visit hcl.harvard.edu/poetryroom. Live Saturation is a composition for flute and electronic music by Jean-François Charles. 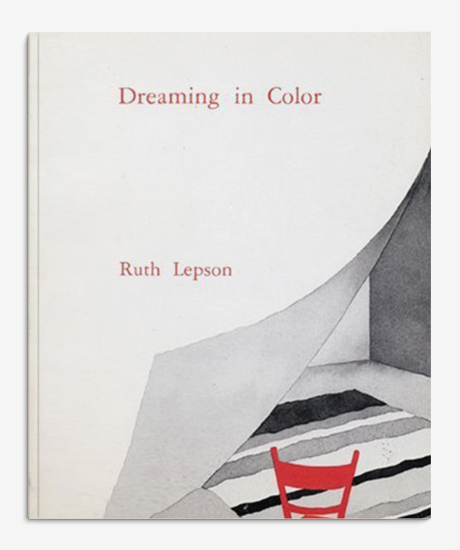 Text after, "Saturation", a poem by Ruth Lepson, read by the author. Live recording in Paine Hall, Harvard University, on May 24th, 2008, starring flutist Mario Caroli. Concert organized by the Harvard Group for New Music. It constitutes the minutes 1 to 5 of the 60/60 interactive composition project. The electronic music is dedicated to participants Katherine Lee and Brigitte Urien. Please click here to read the full feature on The Tower Journal website.